Nowadays the most modern designers work with Sketch. Because of its ability to draw on the interface interaction and its tiny weight. Being NET developers we use Windows so there is a complication to collaborate with Sketch which was created only for Mac users. But those dark days are away and the clouds begin to dissipate over the world of NET developers. So, meet - Avocode! Avocode is the product created especially for burnt out frontend developers and serves as a bridge between devs and designers. The way of workflow is the next: designer draws a layout then clicks a button in the plugin and the mockup flies exactly via Avocode to the developer. 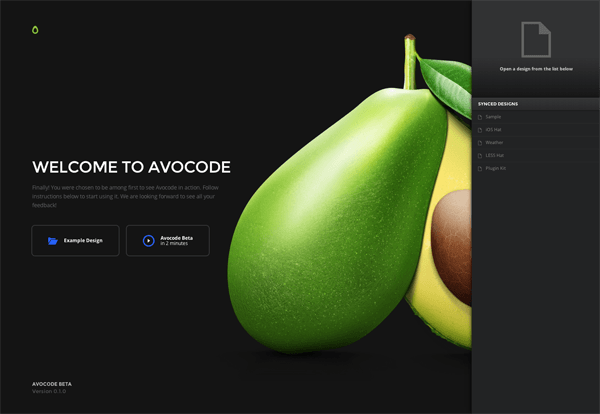 Avocode supports a number of design formats. There are too many applications for designers. And Avocode provides you with collaboration with developers. It is cross-platform. When you deal with Sketch you can’t work with Windows and when you deal with Photoshop you can’t use Linux. With Avocode you work with each operating system you want. Save your time with Avocode. All the assets can be taken from one place. You don’t have to own Sketch and Photoshop license to get needed assets. So we are working with Sketch and Avocode and are satisfied with both. Don’t hesitate. Work with best!